Products – Cameras – CM-650 – Team Research Inc.
RoadHawk DC-2 Automobile Dashcam Video Recorder System is the lite version of the best-selling Roadhawk HD. 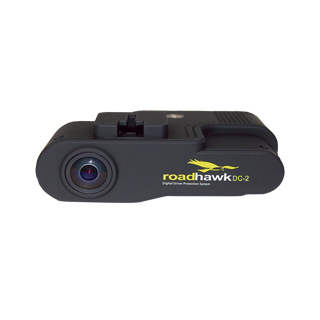 Offering the same features: 1080p@30fps full HD, Lodsoping DVR, GPS, Driving Speed, G-Force Sensor, Google Maps and more, this camera is designed to meet the needs of a wider customer base whilst still maintaining the high quality and reliability that the Roadhawk is known for. Bonus Software: The RaceRender 3 – this optional software extracts the data collected by the RoadHawk DC2 and allows you to configure virtually endless combinations of on screen displays such as track map, speedometers, G-Force meters and lap timers. • Real Full HD 1080p@30fps video latest A5s Processor (Ambarella). • High quality image sensor providing excellent video quality and tuned for low light sensitivity. • New vertical mount designed to have the lens of the camera sitting closer to the screen of the vehicle minimizing reflection. • Algorithm for detecting SD card errors. • Alarm input for remote triggering events and output for communicating with tracking devices.